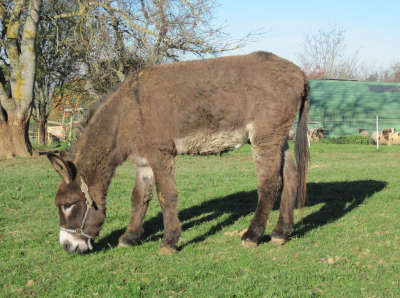 Home » Association News » Wilbur and Piona update! As we’ve had some requests on how past equines are doing, we’re going to run a few blog posts with recent photos them. Todays blog is is for Wilbur and Piona (now renamed Dolly). Some of you may remember the dreadful start poor Wilbur had. He was left entire, and locked in a black hole of a shed because his companion had died! 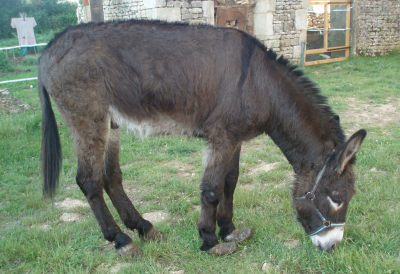 By the time ERF were asked to intervene, he had slipper feet that had never been touched, and was a very thin and stressed donkey, frightened even of food buckets. It was one of the biggest loading challenges we faced, trying to load a big donkey unmotivated by food and reluctant to move because his feet were sore and he was terrified. You can see how difficult he found it to even stand normally. Eventually, after much thinking outside the box, we eventually corralled him with gates onto the ramp, and finally he decided we weren’t so bad and went in. Never have I been so glad to get a ramp up! 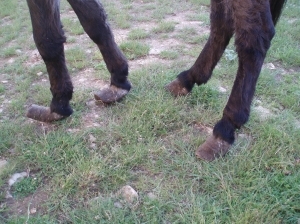 We had his feet trimmed, poor boy was sore for a while, and had him gelded, a difficult operation on donkeys, especially older ones as they are more prone to bleeding profusely. 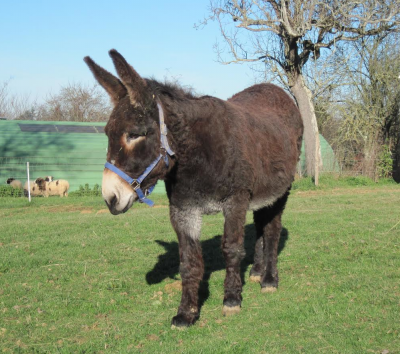 Piona came to us with recurrent foot problems, and after much hard work and care, these were resolved and she was rehomed alongside Wilbur, with whom she had bonded. Unfortunately their first guardians had to give them back because of work commitments, and they are now in a fabulous home in the SW of France. 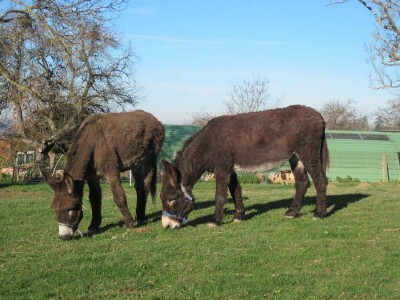 It’s fantastic to see these donkeys so happy and easy to handle after their horrible start in life!